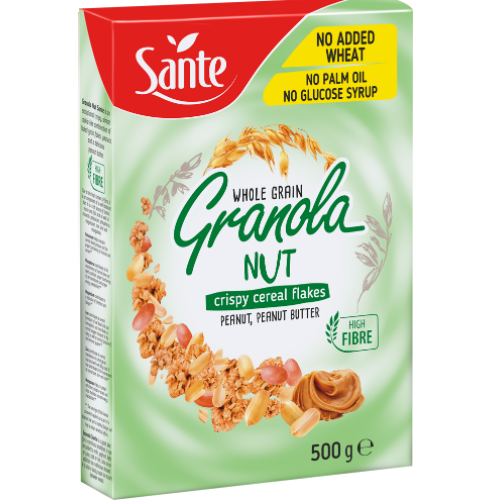 Nut granola is an exceptionally crunchy, cookie-like combination of roasted wholegrain oats (36.5% of its composition) with added peanuts and nut butter. 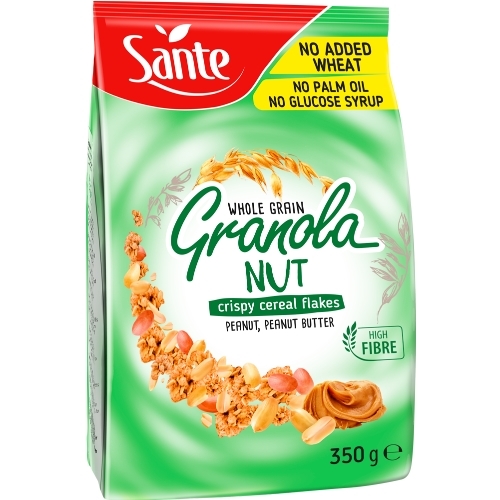 Nut granola is a natural source of thiamine, niacin and folic acid, as well as 6 minerals: potassium, phosphorus, magnesium, iron, zinc and manganese. It is distinguished by its high content of dietary fibre. 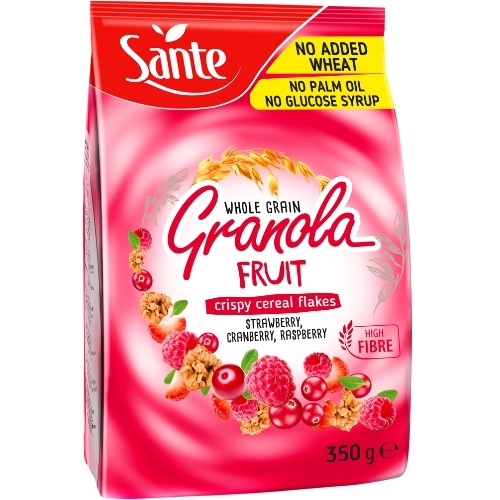 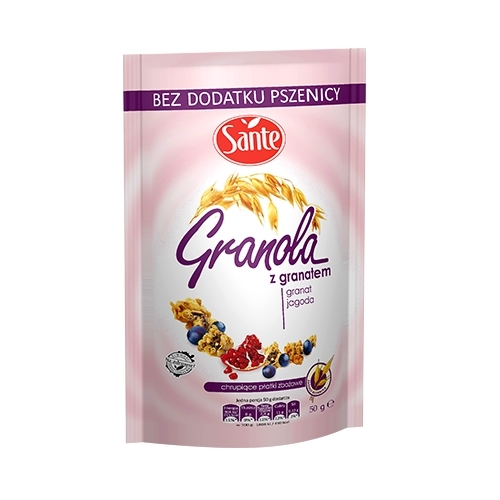 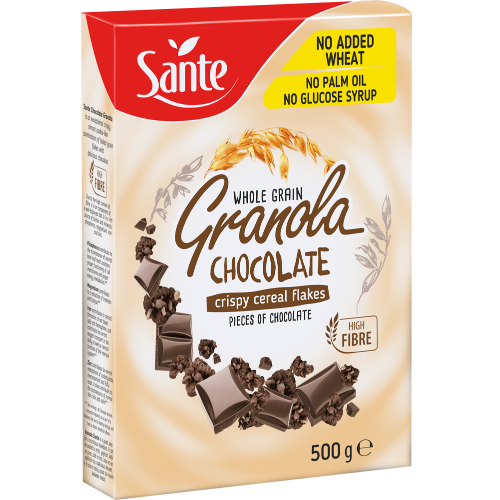 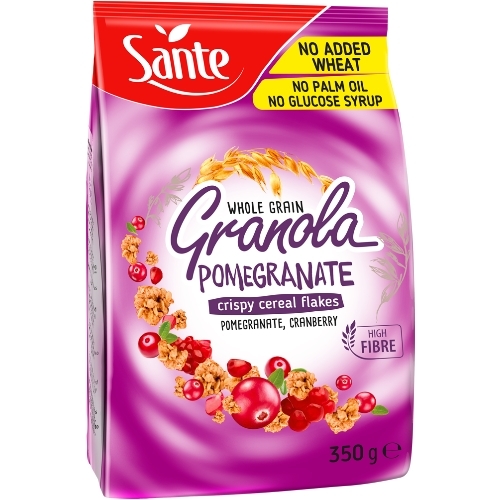 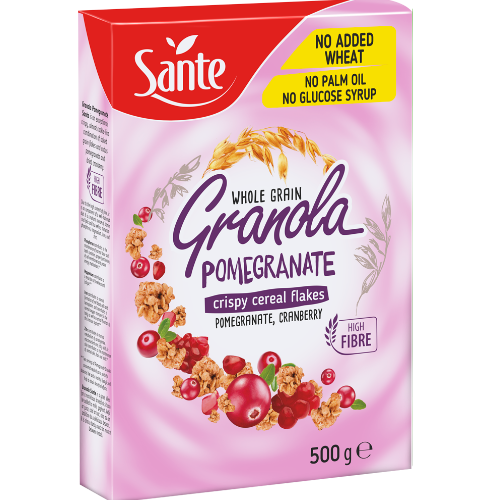 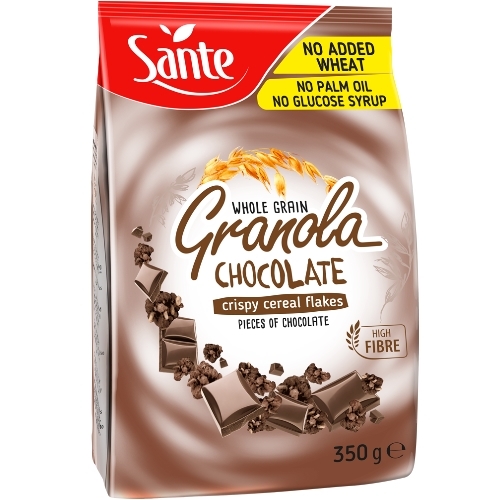 *This health effect can be achieved by regular consumption of two servings of Granola with nuts, combined with a balanced diet and healthy lifestyle. 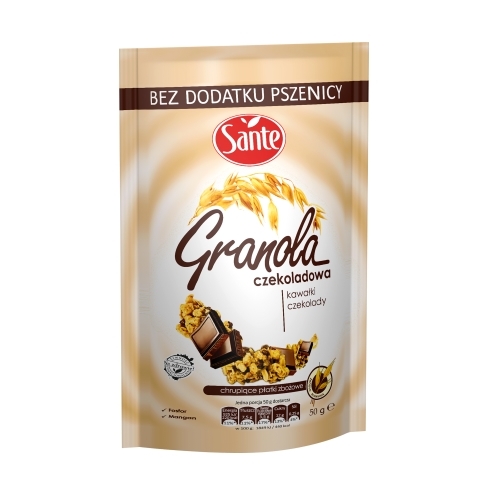 Whole grain oat flakes 36,5%, flours: oat 7%, barley, corn; unrefined cane sugar, peanut 9,4%, sunflower oil, peanut cream 5,2%: peanut; corn grits, coconut flakes, cane molasses, sea salt, raising agent: sodium carbonates, emulsifier: lecithins (soy), barley malt extract.